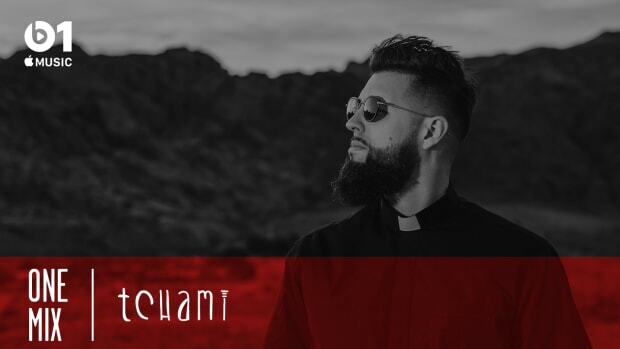 We spoke with Tchami about his label and sound at his Brooklyn show last weekend. Parisian producer Tchami is on tour with his Confession record label, and they stopped by in New York last Friday for a stellar show. Brohug and Noizu joined Tchami for a night filled with house music of all kinds - funky, soulful, deep, and melodic. Brooklyn’s Avant Gardner hosted the event in their impressive Great Hall space. A sprawling industrial warehouse, the Brooklyn venue was a perfect fit for a celebration of house music. The dancefloor was wide and expansive, the lighting sharp, more leveled and controlled than flashy or gimmicky. 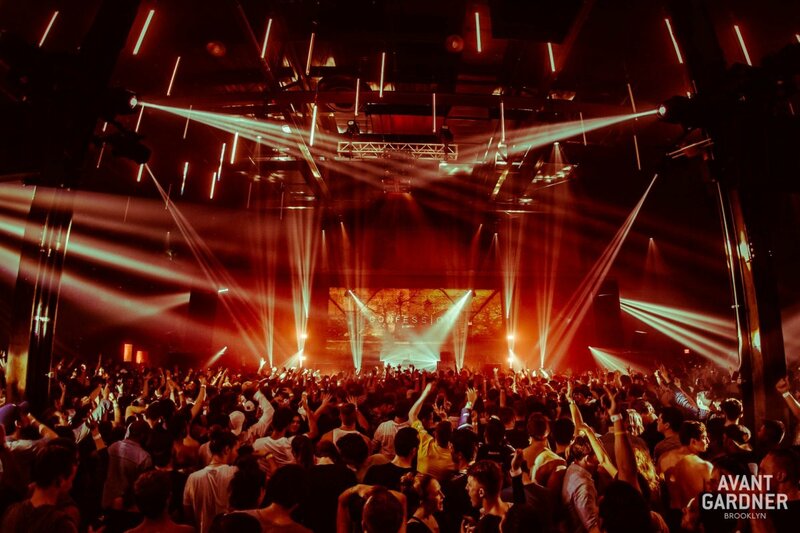 Projection mapping for visuals let the brick walls of the venue come to life, creating a warm, intimate space for attendees. It provided a welcome change from the gaudy LED screens that seem to pervade the modern electronic music experience. 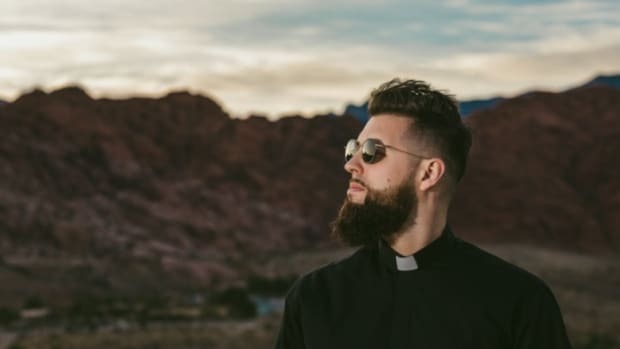 Before he took to the decks, we got a chance to speak to Tchami about his label, signature style of house music, and the story behind the priest persona. As it turns out, outside artists think Confession has a specific sound - which is the opposite of Tchami’s intended direction for the label. Also, as you may have noticed from his most recent releases, Tchami’s upcoming music is going to delve deeper into melodies. 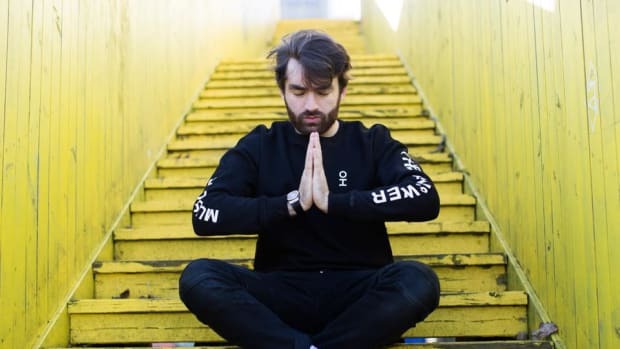 EDM.com: How’s the Confession tour going so far? Tchami: It’s been great. The response in each city has been nothing short of amazing. 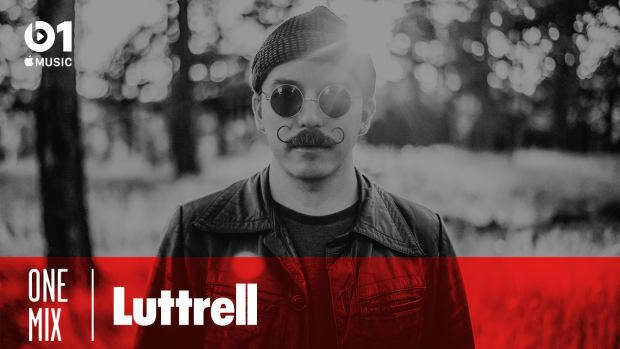 I’m very proud of this tour because we are promoting artists who have released on the label! What makes now the right time to take the label on tour? It takes time to put everyone together. Also, I wanted to be sure to grow the label as much as I could before going on tour. Taking it back, why did you start a record label? I wanted to give a platform to young artists. One that I didn’t have when I was younger! When I was 21 I just wished I had this type of platform. What do you look for in prospective signings? It&apos;s not a precise direction. I think artists are saying, "Confession is this," and they don’t send me anything other than this. So we need more diversity. Really, I just want great, house-oriented music. Your recent releases "Aurra" and "Shades" are very nostalgic and emotional. 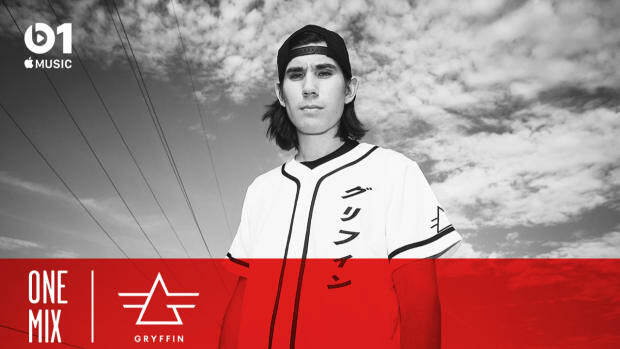 What inspired you to explore sounds so distinct from your signature gritty house? It feels more like my first releases which were more melodic. And, now, I think its time to get back to the melodies. Can we expect more of the same in the future? Are you currently working on any future releases? Yes, I’m in a very creative mood, working on a lot of music. Too early for more details though! You’re credited for pioneering “future house” but really, as you’ve even admitted, it’s the internet blowing up a catchy tagline. So, how would you really describe your style of house music? I get inspired by a lot of things. My culture is hip-hop, soul and funk. House too, but it came later in my life. Really, I’m blending every aspect of my musical culture to create my style of house music. What’s the story behind the priest look and church theme? It’s my message, being spiritual. I think my music is about that too. When you share a moment with people you like and people you don’t know, in a venue like tonight, it’s looking for freedom and unity. That was a long time ago, but it still applies. You are who you are; I can’t change you. You need to be authentic. Creativity and authenticity come from within and that applies to everyone. 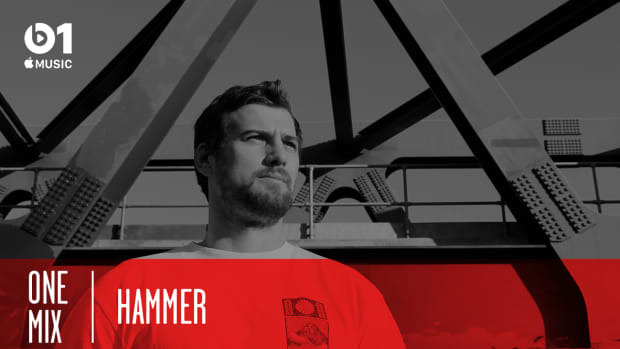 Brohug & Noizu join the Parisian producer for a night of gritty house music. 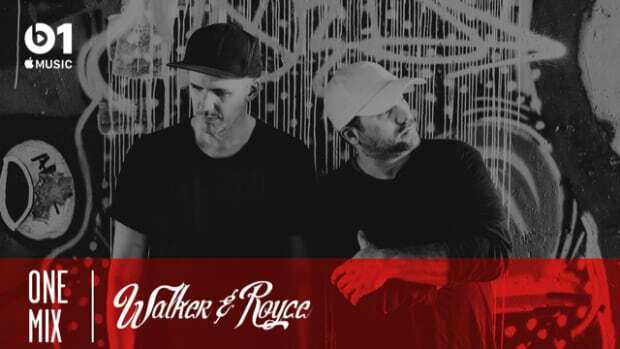 The duo poked fun at people complaining about festival lineups on Twitter, shared their favorite throwback tracks, revealed their go-to places for new music, and more. 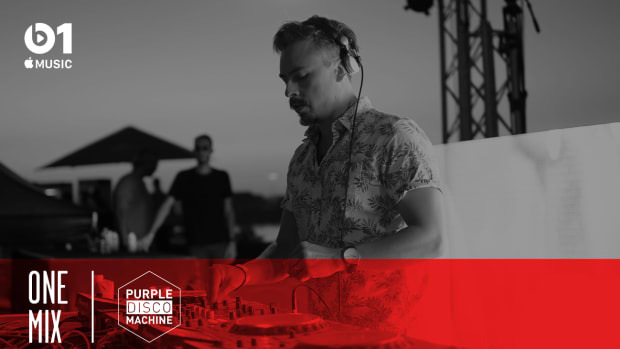 Purple Disco Machine brings his "deep funk" sound to One Mix.